I finally got organised finally – perhaps on the back of a highly productive year – three zines!! 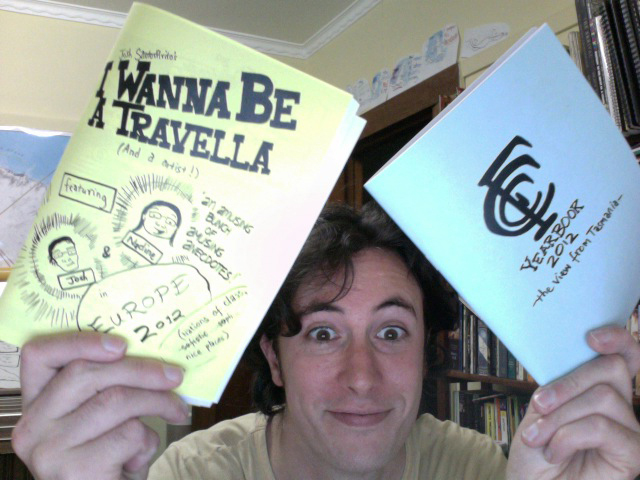 SO – in the future – if you want to buy some zines from me – go to my Etsy shop!!! Currently – I have three zines for sale!! – All $5- plus postage! HOW CHEAP!!! Though if you’re such a lucky duck that you live in Melbourne – the world’s most liveable city, you could always ask at Sticky if they have anything of mine.